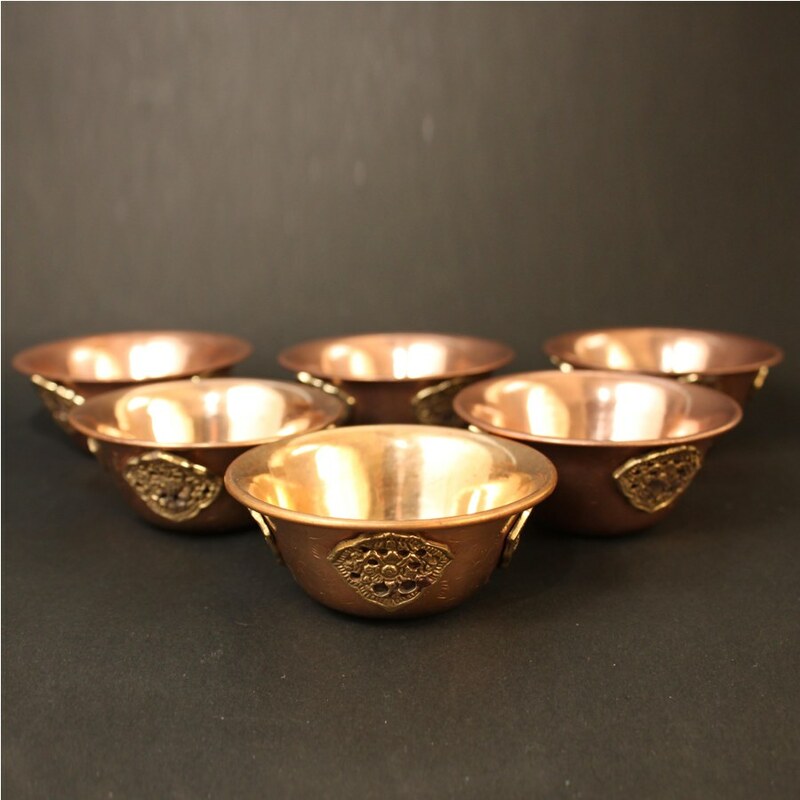 A very nice set of copper offering bowls. 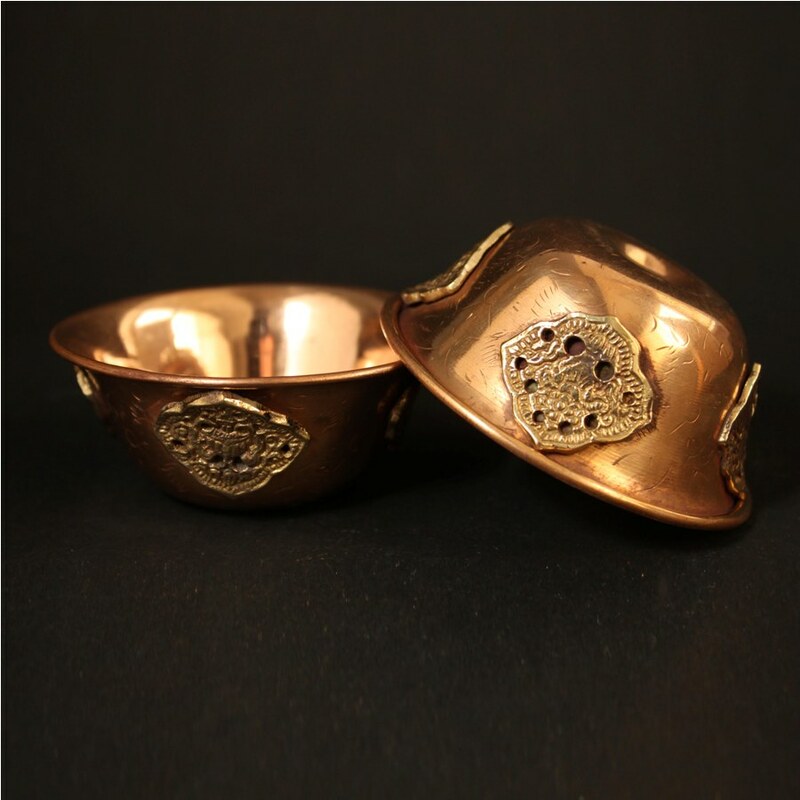 These offering bowls are made of polished copper, which brings out the shining quality, and are decorated with auspicious symbols in brass. Each set consists of seven offering bowls. Quality : Machine made, copper, with auspicious symbols in brass. Standard quality.